SURREY – Organizers of a new educational forum for small lot growers have cancelled the June event and are rescheduling for April 2018. The event promised two days of learning sessions and exhibits for the modern homesteader and while the educational program filled in quickly, organizers found exhibitors and other partners needed more lead time to make the show work. New dates for Grow & Gather will be announced soon. 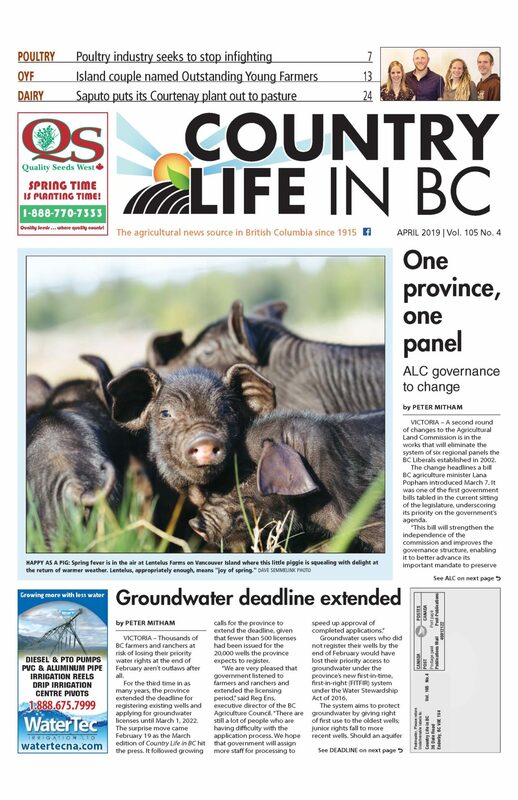 Organizers are working with the Cloverdale Agriplex to find a date in April after receiving feedback that June was too late for many suppliers and gardeners. “The other benefit of scheduling it earlier means we can fill the lull between when the winter markets finish and summer markets begin,” he adds. According to Hardy, all of the speakers have reconfirmed for 2018, including headliner Curtis Stone from Green City Acres in Kelowna. The delay also has the support of the agricultural advisory committees and other partners that organizers have been working with. As disappointing as it is to wait another year, Hardy and his team are invested in taking the time to bring a high-quality exhibition and educational event to the Lower Mainland. “We want this event to take off and be a success for years to come,” says Hardy. 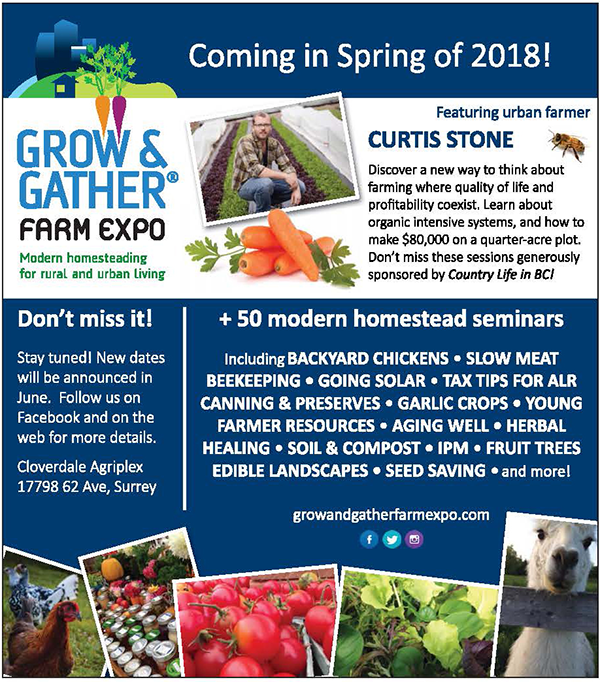 For more information about the 2018 Grow & Gather Farm Expo, visit [growandgatherfarmexpo.com].